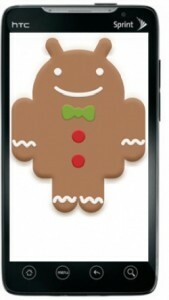 Now HTC Evo 4G users will be receiving a OTA update on June 6th which will let them experience the new Android Gingerbread. However users can also update their phones manually from tomorrow. The HTC Evo 4G is a popular Android handset that has been running Android 2.2 since last August. However Gingerbread’s updates seem minimal along with its UI enhancements which are overshadowed by HTC Sense UI. However Gingerbread has a cleaner user interface with some new features such as copy and paste which has been enhanced. Handsets will take a few days before the updates reach them so if you want the update sooner, you may want to do it manually. Next Unlocked iPhone 4 Launching in USA this Wednesday? !